According to my research into the potential co-evolution of the moving image, consciousness, culture and society, The Matrix (1999) helped to introduce a higher form of cinematic consciousness* into mainstream pop culture. The foundation of this higher form of cinematic consciousness could be called meta-perspectival storytelling. Meta-perspectival storytelling refers to stories that unfold through both major and minor shifts in perspective that often reveal whole new ways of understanding and experiencing the storyworld unfolding before us. Think of the red-blue pill moment in The Matrix, or the self-as-ghost revelation at the end of The Sixth Sense (1999), the shifting realities of a television series like Lost (2004) or the progressive, reality-shaking awakening of characters to the true coming threat of winter in Game of Thrones (2011). All of these works use meta-perspectival storytelling to drive their stories and characters to greater levels of understanding and capacities. This form of storytelling has been around for a while in various forms but not until the release of both The Matrix and The Sixth Sense in 1999, did this form penetrate the pop culture cinematic language in a big way. Since then, more and more cinematic works have been using this form of storytelling, creating deeper and more expansive works with layers and layers of perceptual realities that hide and reveal themselves over time, guiding us and the characters to greater levels of understanding and revelation. Meta-perspectival storytelling is born out of a specific stage of development and structure of consciousness, often referred to as Integral Consciousness. The key to this structure of consciousness is the drive to understand all dimensions and perspectives of our reality and integrate them into a meaningful whole, a "big picture" meta-perspective. I find it beautifully symbolic that this month is the 20th anniversary of The Matrix (1999-2019), the film that helped birth this expansion of cinematic consciousness, and the start of the final season of Game of Thrones (2011-2019), the series that helped to evolve this form of storytelling to new levels of richness, depth and complexity for a global scale audience that more easily and deeply understands, embodies and enjoys this form of consciousness and storytelling. I also find it rather haunting and inspiring to look at how this evolution of storytelling and viewer consciousness coincides with the ever deepening and expanding deconstruction of so many of our individual and collective mental, emotional and perspectival constructs within and around us. This deconstruction has culminated in the whirlwind of reality bubbles, fake news, propaganda networks and "alternate truth" in which we currently find ourselves. I have to wonder if all these meta-perspectival stories feeding our imaginations these last twenty years are an expression of our collective consciousness preparing us to make some big perspectival transition, helping more and more of us to wake up to the coming of our own global climate change and political, cultural and social regression winter, and to individually and collectively search for the red pill that will wake us all up in time. *NOTE: Cinematic consciousness as I define it comes from my research into the relationship between the moving image, consciousness, culture and society. This research suggests that human beings project their structures of consciousness into their creative works. This in turn appears to create similar composite structures of consciousness embedded in these works. In a sense these embedded consciousness structures create a kind of cinematic consciousness that lives within the constructed cinematic reality of these moving images. And this cinematic consciousness in turn affects viewer consciousness. Announcing the first Conscious Movie-of-the-Month live video call. This month we will be exploring this months movie The Matrix (1999). At the end of the month, on Thursday April 25th at 7:00pm Pacific Time we will have a video conference call where Integral Cinema Project lead researcher, Mark Allan Kaplan, will share his reflections on the movie from a conscious, integral and transpersonal perspective and you will have the opportunity to share more of your personal reflections and ask any questions. If you have not already joined our FREE Conscious Movie-of-the-Month Club, you can still join us anytime by signing up for a FREE membership at the Conscious Good Creators Network. If you are already a member, you are invited to watch The Matrix on your own and feel free to share your thoughts, reflections and musings about the movie in our group's online discussion forum. The viewing experience of The Matrix has given many viewers a consciousness raising experience, myself included. I vividly remember the first time I saw the film. I saw it opening week back when it was released in theaters in the Spring of 1999. It just blew me away and gave me a deep and profound altered state of consciousness. When the movie was over and I came out of the theater, everything seemed so much more real...the twinkling stars in the early evening sky, the subtle spring fragrances wafting through the air, the collective dance of the movie goers streaming in and out of the theater, and so much more...and at the same time I was contemplating deep questions about the nature of the reality I was seeing and the life I was living. The Matrix was also consciously created to affect viewer consciousness. The Wachowski's studied Integral Theory before making the film and were attempting to apply the integral structure of consciousness to the narrative, visual, auditory and time-based expressive elements of the movie in order to elevate viewer consciousness. 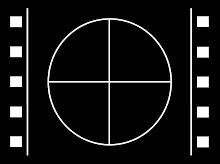 The Matrix is also of major historical significance in that it introduced a more complex form of cinematic storytelling into pop movie culture, which has had an influence on collective consciousness by advancing the evolution of cinematic consciousness and helping to catalyze a shift in the co-evolution of cinematic consciousness and viewer consciousness. Cinematic consciousness as I define it comes from my research into the relationship between the moving image, consciousness, culture and society. This research suggests that human beings project their structures of consciousness into their creative works. This in turn appears to create similar composite structures of consciousness embedded in these works. In a sense these embedded consciousness structures create a kind of cinematic consciousness that lives within the constructed cinematic reality of these moving images. And this cinematic consciousness in turn affects viewer consciousness. I will be sharing more on the film during the month in our groups online forum and on our video conference call on the 25th. I will also be sharing with the group a Conscious Movie Viewing Practice for members to play with if they feel so moved to do so. 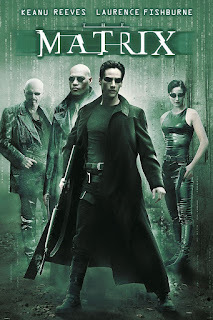 The Conscious Movie-of-the-Month for April 2019 is The Matrix (1999). Welcome to the first Conscious Movie-of-the-Month exploration. If you have not already joined our free Conscious Movie-of-the-Month Group/Club, you can still join us anytime by signing up for a free membership at the Conscious Good Creators Network. At the end of the month, on Thursday April 25th at 7:00pm Pacific Time we will have a video conference call where I will share my reflections on the movie from a conscious, integral and transpersonal perspective and you will have the opportunity to share more of your personal reflections and ask any questions. Thanks to group member Harry LeBlanc for suggesting The Matrix. 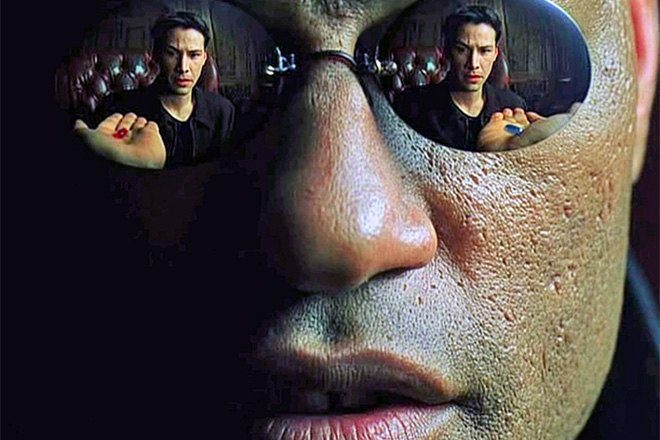 The Matrix was also consciously created to effect viewer consciousness...the creators, The Wachowskis, studied Integral Theory and were attempting to apply the integral structure of consciousness to the narrative, visual, auditory and time-based expressive elements of the movie in order to elevate viewer consciousness. Cinematic consciousness as I define it comes from my research into the relationship between the moving image, consciousness, culture and society. This research suggests that human beings project their structures of consciousness into their creative works. This in turn appears to create similar composite structures of consciousness embedded in these works. In a sense these embedded consciousness structures create a kind of cinematic consciousness that lives within the constructed cinematic reality of these moving images. And this cinematic consciousness in turn effects viewer consciousness. I will be sharing more on the film during the month here online and on our video conference call on the 25th. I will also be sharing with you a Conscious Movie Viewing Practice for you to play with if you feel so moved to do so.